The metropolitan area Ruhr with its 5.3 million inhabitants is a technological, economical, scientific and cultural centre in the heart of Europe. Companies operating on a worldwide level are investing, and innovative start-ups compete for national and international top spots. Interaction of universities and leading scientific research institutes generates numerous innovations. The metropolitan area Ruhr used to be the coal mining and steel manufacturing artery of the continent, it is still Europe’s number one energy region, and now it is developing into a centre for future technology. The competence around hydrogen builds on a 100-year-long tradition as an important location of the chemical industry. The metropolitan area Ruhr is also one of the largest urban regions in Europe and thus predestined for the early introduction of electric vehicles into the mass market – including vehicles with hydrogen fuel cell drive, which allow for a fully renewable mobility on the basis of stored regenerative energy combined with high efficiency and freedom to operate, brief filling times and a wide reach. 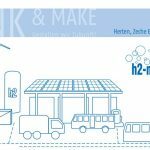 Urban areas allow for a high density of filling stations, and existing hydrogen infrastructures in the metropolitan area Ruhr combined with the competence of our experts facilitate an efficient supply chain. 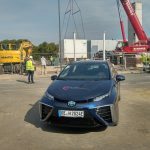 Already at the turn of the millennium, the first development activities and demonstration projects concerning new hydrogen technologies began. In 2003 the Centre for Fuel Cell Technology in Duisburg (ZBT) was founded. 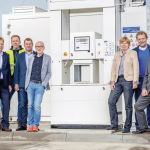 Later, the Emschergenossenschaft (emscher cooperative) obtained hydrogen from sewage digester gas in the Euwak project. In the project HyChain small buses and service vehicles were demonstrated: although their electric drives at that stage did not satisfy the requirements, their fuel cells delivered energy in a reliable manner. There were companies established (IdaTech, Masterflex, Hypower…), major project Blue Tower was started, and after a dormant period is now reanimated, a manufacturing place of Hydrogenics Ltd. was successfully settled in Gladbeck, a hydrogen user centre with wind energy electrolysis was built in Herten, the Westphalian University in Gelsenkirchen and Max-Planck-Institute in Mülheim have started R&D on hydrogen ,and much more. 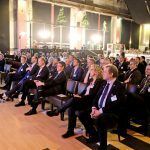 A remarkable mix of research activities, demonstration projects and applications including development and manufacturing of market-ready products was established in the metropolitan area Ruhr. 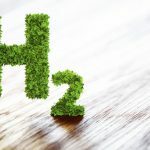 Hydrogen and fuel cell technologies will create jobs. The metropolitan area Ruhr will profit from that, and h2-netzwerk-ruhr supports these developments.